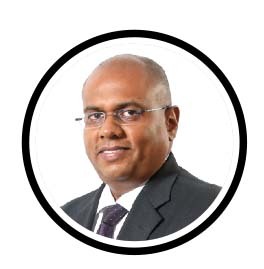 Q: What are the key governance concerns when it comes to banks in Sri Lanka? A: Sri Lanka has a strong governance structure to regulate the banking and financial services sector – this is healthy since this business is built on trust. Strict regulations play a critical role as a catalyst to grow businesses. Q: Is there room for further consolidation among local banks, in your opinion? A: Personally, I feel that consolidation is inevitable because there are certain requirements that banks need to abide by to ensure stability and withstand market fluctuations. Q: What are Pan Asia Bank’s latest innovations? A: Recently, we launched a path-breaking deposit product – Rising Fixed Deposits – with the aim of encouraging customers to opt for long-term deposits. Customers are generally reluctant to commit to long-term deposits as they think they’ll lose out on an opportunity if interest rates increase. Our product not only promises a guaranteed return but also enables customers to benefit from any upward movements in interest rates during the tenure of a deposit. Rising Fixed Deposits achieve this by reviewing interest rates every six months and offering a higher rate for the remaining investment period if market rates have increased by then. This is a first of its kind in the country. 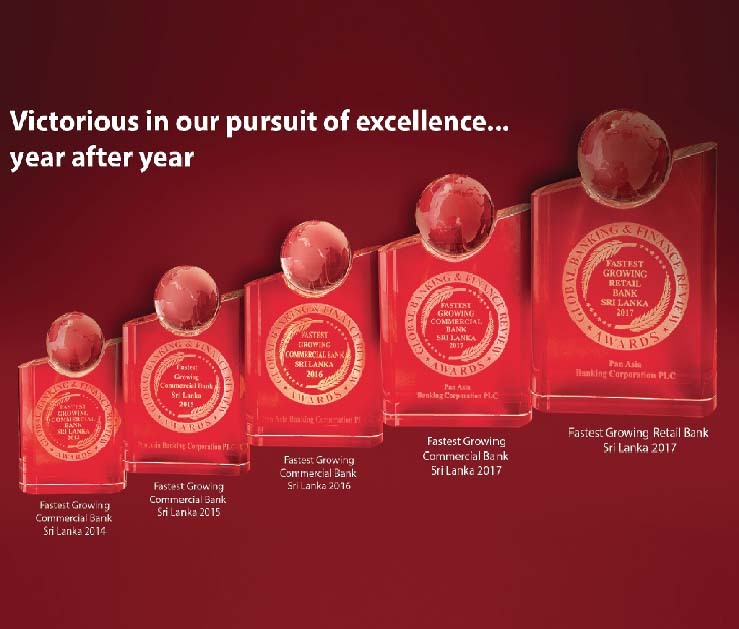 Pan Asia Bank’s unique products continue to lead as true value offerings. For instance, with the Daskam children’s savings scheme, when a parent lodges a deposit the bank adds another 10 percent to the account and calculates interest on the entire balance – this enables them to save more for the child’s future needs when he or she turns 18. Sammana, another novel introduction, is a loan scheme for government pensioners. It has bestowed senior citizens with a life of dignity by offering an unsecured loan facility based on their pensions. Over 40,000 senior citizens are now economically independent even after their retirement thanks to Sammana. Pan Asia Bank also offers a Balance Transfer facility, which enables credit cardholders to transfer their existing balances to a Pan Asia Bank credit card without incurring additional charges and paying it off in instalments. By doing so, they can save up to 40 percent of their interest cost. Q: How would you describe the competition and what strategies do you employ to stay ahead of it? A: Competition is intensifying with so many banks competing for a larger slice of the pie especially from the middle and upper segments in what is a rather small economy. Furthermore, banks are increasingly inclined to focus on high-yield retail spaces such as pawning, personal loans, credit cards and so on. Therefore, instead of allocating more resources to advertising products, we focus on designing them to address the real needs of target segments and ensure they’re accessible to customers. With this approach, we have witnessed that the motivation to opt for our products comes from customers themselves. Also, we intend to expand our branch footprint to focus more on the SME sector – we believe it will be the nation’s engine of growth. Q: And finally, what are the main challenges faced by the banking sector today? A: The banking sector is sensitive to the country and global economic situation. As a result, to stay ahead of the game, we need to constantly focus on product innovations that are based on customer needs.